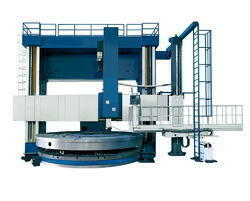 We are leading manufacturer & Exporter of CNC VTL Machine. Our product range also comprises of All Geared Shaping Machine, all Geared Lathe Machine and Heavy Duty Slotting Machine. 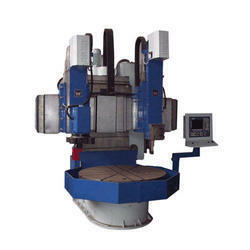 Among our wide range of products, we are offering a premium quality assortment of Vertical Turning Lathes. Backed by the years of experience in the domain of manufacturing, exporting and supplying we are engaged in offering the qualitative range of CNC VTL Machine. Under the vigilance of our adept professionals the offered machine is manufactured from the finest quality components and advanced technology in compliance with the international industry norms. 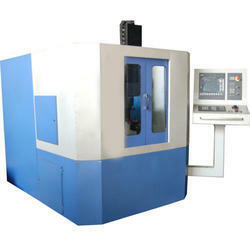 Our offered machine is used in engineering, automobile and other related industries for different applications. Furthermore, it facilitates automatic lifting and lowering the rails for easy loading and unloading of the work piece. 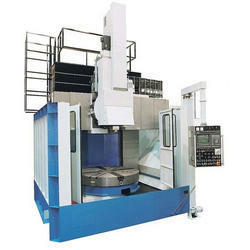 We are placed amongst the renowned manufacturers, exporters and suppliers of a comprehensive range of CNC VTL Machine. Offered machine is manufactured using premium quality raw material and advanced technology keeping in mind international quality standards. 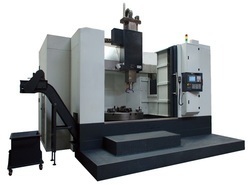 This machine is used in automobile and engineering related industries, and is provided with additional attachments for milling and grinding applications. It facilitates automatic lifting and lowering of the rails for easy loading and unloading of the work piece. Available in various technical specifications as per the need of the clients, we offer this CNC VTL Machine at the most affordable price.